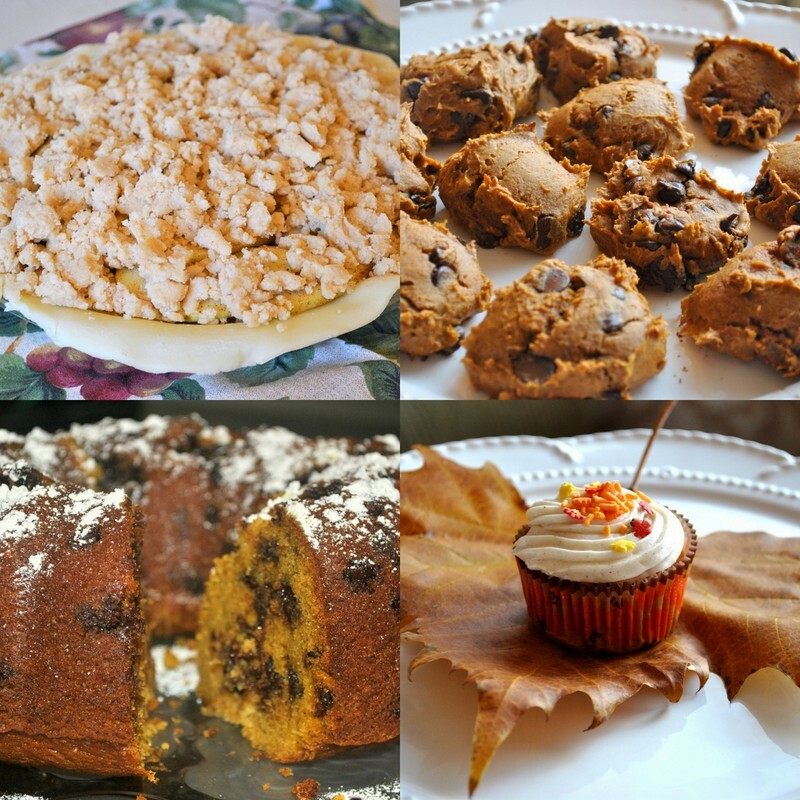 I figured it's officially the season of pumpkin spice, (seriously they should change the name from "Autumn" to "PUMPKIN EXPLOSION IN YOUR FACE"), so why not share four of my favorite fall recipes that I can attest are delicious and feasible. 1. Apple Pie Crumble, WHAT! So good. Turned this non apple pie-loving girl into a true American. 2. Three Ingredient Pumpkin Chip Cookies. So easy your girlfriend that uses her oven for sweater storage could do it (how I miss SATC, sigh). 3. Pumpkin Chip Bundt Cake. Be an office hero and make this cake. It's one of those weird things (like really, a bundt?) that actually tastes like heaven. 4. Fall Foliage Cupcakes. AKA pumpkin cinnamon cream cheese cupcakes, but still, yum. Yum these all sound delicious!! I love pumpkin anything this time of year but I'm an even bigger apple pie fan!! That crumble sounds delicious.